Tutorials are a part of almost all students’ classes. 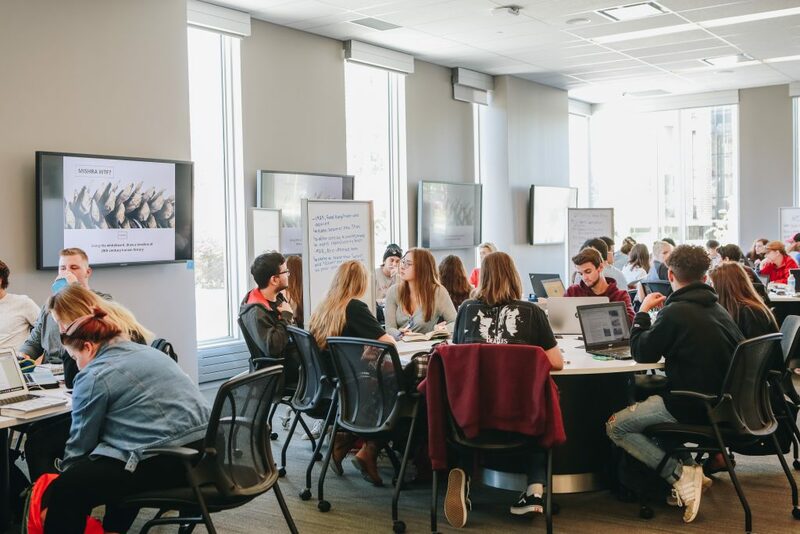 They provide a time to delve deeper into confusing topics discussed in lecture, review difficult homework, or to spark meaningful discussion over class material. They are most definitely an important element to many university classes. Tutorials should not, however, be a place for unstructured expressions of opinion. Last week, I attended a tutorial where I am one of the only non-white individuals in the room. The topic for that tutorial was diversity in the workplace. Soon, I could feel the classes’ eyes on my figure, watching how I would react. Statements that began with “I’m not racist but …” began to circulate around the room. What was intended to be a discussion on employment equity quickly turned into a discussion on if racism exists in Canada and if the term white privilege is a form of reverse-racism. I had never felt more unsafe in my four years at McMaster University. I firmly believe that universities should provide a space for discussion of sensitive topics. But only so long as these discussions are conducted in a safe and supportive manner. The tutorial that I experienced was anything but. I am lucky that my professor for that class was extremely sympathetic to my situation and offered meaningful solutions that went beyond switching my tutorial section. She promised to discuss with the tutorial assistants how to run tutorials and remind them of their responsibilities. TAs have a duty to moderate discussions on sensitive topics to ensure that situations like this do not arise. We should remember the purpose of tutorials is not to engage in pointless discussion for fifty minutes to earn a participation credit. If we decide to run a tutorial on a sensitive topic, it should be to engage in thoughtful exchange of ideas and differences. How then should we run tutorials on sensitive topics? The first step is to ensure students consent to being involved in these discussions. Some students have special or complicated relationships to the issues being discussed; for them, the issues are not just a point of theoretical debate but have actual impact to their life. By putting a disclaimer on the course outline and offering students the choice to opt-out of tutorials that discuss sensitive topics, we are respecting students’ individual circumstances. For those who wish to remain in the tutorial, there should still be structured discussion. The tutorials should be based upon a clearly articulated objective. There should be a common base for understanding — the assigned readings should provide prompts for discussion. Ground rules should also be set to ensure that discussions do not turn hostile. The framework of the tutorial can take many forms. For example, the TA can moderate a think-pair-share session which provides less risk for an out-of-control situation. Students can also be given a set of thought-provoking questions prior to tutorial and be required to come prepared to present their responses with the class. The tutorials should also have an element of student feedback to assess how effective these discussions are and how to improve them. It is also extremely important that TAs should be trained on how to diffuse tension within the tutorials, which is bound to occur during these types of discussion. It is unfair to place sole blame on the TAs for any escalated situations; the professor of the course should be actively involved to ensure their tutorials are run in accordance to their standards. There is also a level of student responsibility when engaging in discussions of sensitive topics. When we engage in these discussions, it is imperative that we remind ourselves that there are no hypothetical situations; we are oftentimes discussing the reality of people’s lives. Think twice before playing “devil’s advocate”–does your comment truly invoke thought or are you just trying to be cool at the expense of others? University is an opportune time to learn of different experiences and perspectives. Discussions involving sensitive topics are important to help students understand the complex world they live in. There ought to then be more emphasis that they are run effectively.